Something curious is afoot in global funding markets, starting with the much-remarked recent surge in the London interbank offered rate. The difference between Libor and the overnight indexed swap rate has soared to its highest level since the financial crisis. A widening Libor-OIS spread, a seemingly arcane financial relationship, is important, not least because it usually implies stress in the interbank market. One explanation offered is that US companies are repatriating cash from overseas subsidiaries. 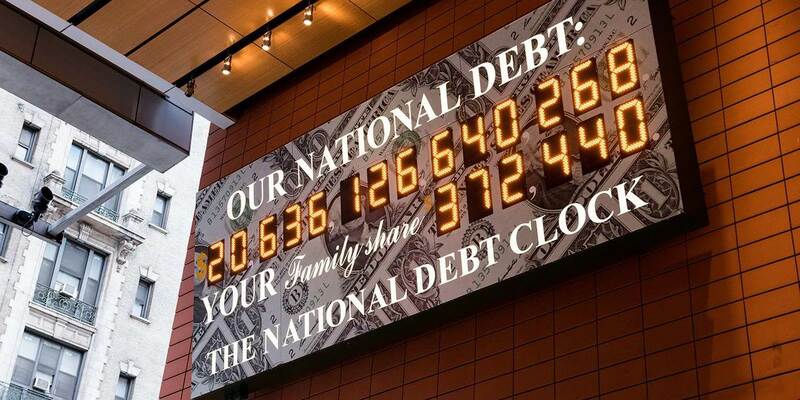 Some blame an expansion in Treasury bill issuance that followed the raising of the government’s debt ceiling. Perhaps most plausible is the existence of a wrinkle in the Trump tax reform legislation, which sets limits to the interest deductibility of inter-company financing for foreign banks. Whatever the explanation, it is the consequence that matters. While it seems unlikely that the expanding Libor-OIS spread portends an imminent liquidity crisis in banking, it is undoubtedly true that Libor-linked borrowing costs on bonds, loans and mortgages are rising. In effect, private markets are bringing forward the impact of future Federal Reserve tightening. What this underlines, among other things, is the difficulty central banks face as they retreat from ultra-loose monetary policy. Understanding the real economy is hard enough when tight labour markets fail to generate wage inflation and productivity performance is stubbornly poor. Structural changes in financial markets that throw up confusing market signals are an unwelcome additional challenge. And those signals have been particularly confusing over the past few months on inflation, which is the central banks’ core concern. From mid-December, investors started to demand increased compensation for taking on duration risk. Through January, rising US Treasury yields reflected a shift in concern away from deflation towards inflation and a demand for further compensation for what promised to be an earlier exit by central banks from unconventional policy. Then on February 2, a stronger than expected US labour market report caused a further rise in Treasury bond yields that had just reacted nervously, against the background of loosening fiscal policy, to the Treasury’s announcement of increased auction sizes for the government’s IOUs. Equity markets across the world fell out of bed. Yet, paradoxically, the credit markets remained unperturbed with US and European corporate high-yield spreads staying at levels close to their pre-crisis lows. Strange signal. Equities quickly recovered their losses. Then in March, bond yields started to fall again despite no marked change in the inflation outlook. What on earth, you might ask, was going on. The turbulence of early February takes some unpackaging. With hindsight the key incident was the jump on February 5 in the Vix index, the measure of volatility implied by equity option prices. It was the biggest daily increase since the 1987 stock market crash. The rise in volatility meant that traders in volatility exchange traded products had to buy more Vix futures to rebalance their books. As the latest BIS Quarterly Review points out in a revealing account of the episode, volatility increases have historically been sharp, so those betting on low volatility were collecting pennies in front of a steamroller. There was then a spillover into the equity markets from Vix futures dealers who had hedged their exposures by shorting so-called E-mini S&P 500 futures, thereby putting downward pressure on equities. In addition, notes the BIS, normal algorithmic arbitrage strategies between exchange traded funds, futures and cash markets kept markets tightly linked. Forced sales by momentum traders added to the toxic mix. In short, what appeared to be a full-scale inflation scare was a modest inflation scare combined with an immodest technical overshoot. With government bond yields down since February, are investors now over-complacent about inflation? The risk of an overheating US economy remains real, labour markets are tight and commodity prices are up. In a recent speech Gertjan Vlieghe of the Bank of England Monetary Policy Committee put a cogent case that the Phillips curve, which charts the relationship between unemployment and wage inflation, is far from dead. He highlighted a number of factors that have lowered wage growth for a given unemployment rate such as lower structural unemployment, public sector wage restraint, downward nominal wage rigidity, weak inflation expectations and weaker productivity growth. And he made a good case that several of these wage headwinds were now fading. The volatility rise in February is probably a pointer to much greater future turbulence. Years of ultra-low interest rates and low volatility have dulled sensitivity to the leverage and currency mismatch risks inherent in ever more widespread carry trading. The exponential growth in derivatives trading means that the embedded leverage in these instruments is an ever greater threat to financial stability. So, too, is the increasing use of mechanistic, pro-cyclical trading strategies. All of which creates quite a minefield for beleaguered central bankers. Whatever Happened to Saving for a Rainy Day? CAMBRIDGE – More than a decade ago, I undertook a study, together with Graciela Kaminsky of George Washington University and Carlos Végh, now the World Bank’s chief economist for Latin America and the Caribbean, examining more than 100 countries’ fiscal policies for much of the postwar era. We concluded that advanced economies’ fiscal policies tended to be either independent of the business cycle (acyclical) or to lean in the opposite direction (countercyclical). Built-in stabilizers, like unemployment insurance, are part of the story, but government outlays also worked to smooth the economic cycle. By contrast, in most emerging-market economies, fiscal policy was procyclical: government spending increased when the economy was approaching full employment. This tendency leaves countries poorly positioned to inject stimulus when bad times come again. In fact, it sets the stage for dreaded austerity measures that make bad times worse. Following its admission to the eurozone, Greece convincingly demonstrated that an advanced economy can be just as procyclical as any emerging market. During a decade of prosperity, with output close to potential most of the time, government spending outpaced growth, and government debt ballooned. Perhaps policymakers presumed that saving for a rainy day is unnecessary if this time is different and perpetual sunshine is the new normal. Fast-forward to the United States in 2018. Trillion-dollar deficits as far as economists can project are prima facie evidence that the arc of fiscal policy in the US bends in the wrong direction. An aging population should be husbanding resources for the future, not spending on itself now. Of course, democracies have a long history of over-rewarding current voters at the expense of future generations, but the current scale and scope of fiscal largess is mistimed to both the trend and cycle of the US economy. Most analysts believe the US is at or near potential output. Fiscal stimulus at such a time is plainly procyclical. The previous round of fiscal stimulus dates to the 2009 American Recovery and Reinvestment Act, enacted in response to the Great Recession. The stimulus stretched past the immediate need, the ultimate price tag rose to $840 billion, and the net economic benefit remains debatable. Yet, even with these flaws, the legislation addressed the palpable cyclical reality of an unemployment rate touching 10%. This is what to expect in the exercise of discretionary policy, which is why the unemployment rate moves inversely with the federal budget déficit. The Reagan tax cuts of the early 1980s came at a time when the unemployment rate was climbing to post-war highs, the economy was in recession, and the Federal Reserve battling inflation and keeping interest rates at or near record highs. The gross public debt at the time, at 31% of GDP, was small potatoes compared to today’s ratio of 105%. The two main pillars of fiscal policy passed since December contravene the fundamental design principle of countercyclicality. The Tax Cuts and Jobs Act of 2017 and the Bipartisan Budget Act of 2018 are projected to put the deficit above $1 trillion by next year, even as most economists project the unemployment rate to move lower. Most Federal Reserve officials, for example, expect the unemployment rate to be just above 3.5% over the next three years, or almost one percentage point below their assessment of its natural rate. This forecast of excess demand is an important part of the Fed’s rationale for raising the policy rate and shrinking its balance sheet. The net result of fiscal and monetary policy moving in opposite directions is that the Fed will make the government debt created by this legislation more expensive. The scale is not inconsiderable. The Center for a Responsible Federal Budget forecasts that interest costs will be the fastest-growing component of the budget, eating up 14% by 2028. True, the federal tax code is in dire need of improvement, and last year’s reform, especially the reduction in the corporate tax rate, should boost output in the longer term. But such a gain is hard to bank on, and there is no plausible way that reform pays for itself. Rather, the preferable strategy would have been to pair costly tax policy changes with revenue-raising and expenditure-cutting initiatives. In fact, this year’s budget deal goes further in the wrong direction, making it likely that the public debt exceeds nominal income within ten years. My concern about excessive government debt back goes a long way, both in terms of my research agenda and along the timeline of global economic performance. In work with Vincent Reinhart and Kenneth Rogoff examining a sample of advanced economies since the Napoleonic War, we found that periods of high debt were paired with long periods of weak economic growth. And in the current context, any adverse effect of debt on economic growth will intensify ongoing headwinds. An aging US population implies lower participation in market activity. This, together with slower productivity, implies that rising entitlement spending will take a bigger slice of the income pie. Indeed, the Congressional Budget Office foresees increases in spending relative to GDP of about five percentage points in each of the next two decades. Some officials argue that foreign investors’ appetite for US government debt – the rest of the world holds almost half of all outstanding Treasury securities, worth more than $6 trillion – insulates America from economic harm. Capital-account surpluses, mirrored in current-account deficits, summed to about $3.3 trillion from 2010 to 2017, compared to an $8 trillion aggregate federal deficit. But those macroeconomic outcomes result from policy decisions abroad and the market-clearing movements of financial prices. Officials in important emerging-market economies chose to accumulate Treasury securities, because US yields, albeit low, were higher than in other advanced economies. A confrontational stance on trade, together with greater reliance on government debt, may well extract a higher toll to balance flows of goods and services and of capital. Moreover, the US will be paying for its current excesses with the promise of future payments, and inefficient stimulus now will not give future generations the productive resources needed to make good on it. Carmen M. Reinhart is Professor of the International Financial System at Harvard University's Kennedy School of Government. 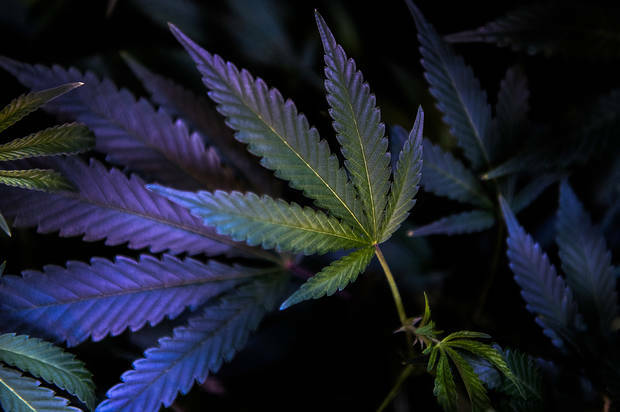 If other large nations follow Canada’s lead, cannabis could become a consumer discretionary business on the scale of the alcoholic beverage industry, in the view of Constellation Brands (ticker: STZ), the U.S. beer and wine giant that just plunked down $191 million for a 10% stake in Canopy. Constellation recently told analysts that global sales of cannabis products could reach $200 billion in 15 years. When Canada’s recreational sales start, Canopy Growth (WEED.Canada) will be ready with an Amazon.com-like e-commerce site called tweedmainstreet.com, featuring company brands like Tweed or Leafs by Snoop (yes, as in Snoop Dogg), as well as small-batch specialties from “craft” growers. 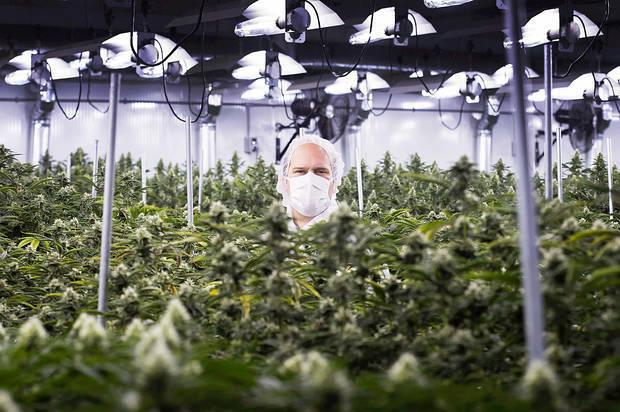 Along with Canopy, Canada is home to three other leaders in cannabis, all with sprawling greenhouses or high-tech grow houses like those in Smiths Falls. 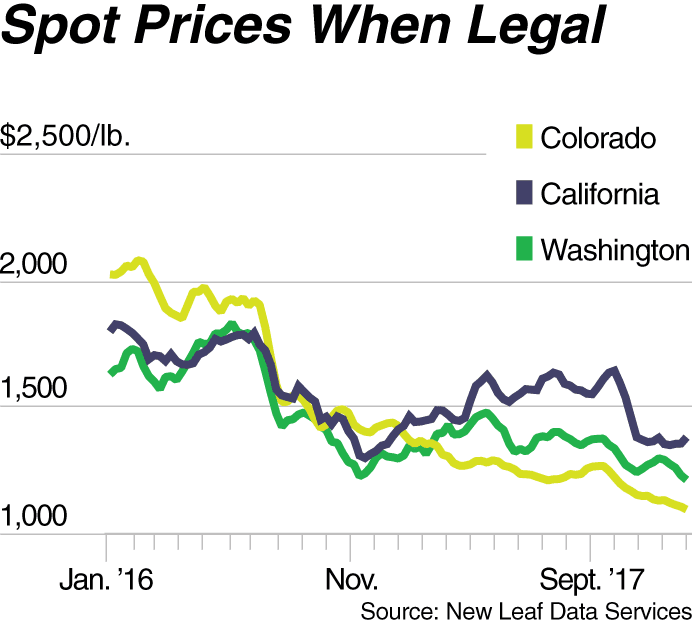 They are Aurora Cannabis (ACB.Canada), Aphria (APH.Canada), and MedReleaf (LEAF.Canada). Aurora is sufficiently hungry that it began the industry’s first hostile takeover, in November, for a Saskatchewan producer called CanniMed Therapeutics (CMED.Canada). 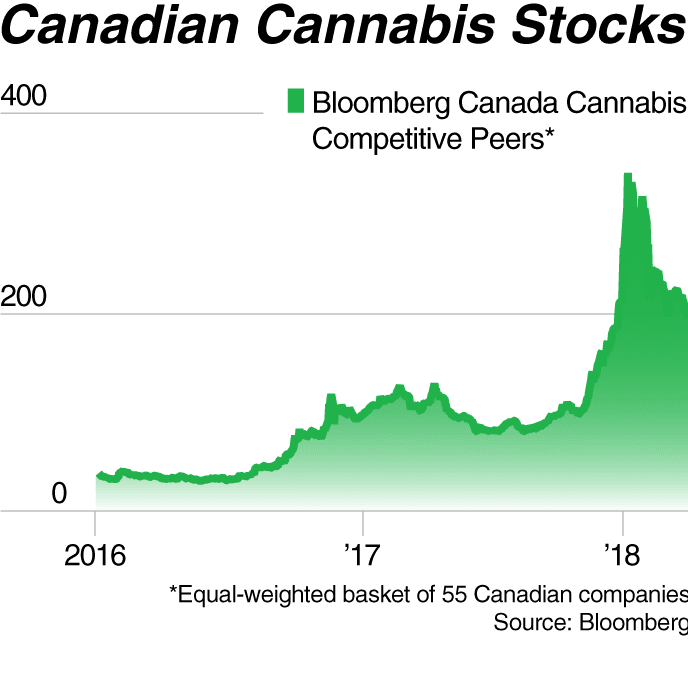 The board of CanniMed came around in January, after Aurora raised its offer from C$24 a share to C$43 in cash and stock—a total of about C$1 billion, 60 times unprofitable CanniMed’s 2017 sales. The developed world has lived with unnaturally-low interest rates for so long that it’s become hard to imagine what life in a normal financial system would be like. But as rates finally start to rise, some of the necessary lifestyle adjustments are emerging. A big one is the fact that the days of refinancing one’s house every few years to extract free cash or lower the monthly mortgage payment are over. Now you pay what you pay, for as long as it takes. (Wall Street Journal) – Refinancings make up a smaller portion of the mortgage business than at any time in the past two decades, posing a challenge for lenders who already fear higher interest rates and climbing house prices could eventually depress purchase activity. Last year, 37% of mortgage-origination volume was because of refinancings, according to industry research group Inside Mortgage Finance. That is the smallest proportion since 1995, and the number of refinancings is widely expected to shrink again this year. In 2012, refinancings were 72% of originations. While purchase activity has climbed steadily from a post-financial-crisis nadir in 2011, growth in 2017 wasn’t enough to offset a $366 billion decline in refinancing activity. The result: The overall mortgage market fell around 12%, to $1.8 trillion, according to Inside Mortgage Finance. What’s more, there are fewer homeowners eligible to refinance because of rising rates. The number of borrowers who could benefit from a refinancing is down about 37% from the end of last year, estimates Black Knight Inc., a mortgage-data and technology firm. At 2.67 million potential borrowers, this group is at its smallest since 2008. “The market has just gotten so very competitive because every loan matters,” said Ed Robinson, head of the mortgage business at Fifth Third Bancorp . He added that the bank is contacting homeowners who could be eligible for a refinancing in coming years to help maintain that business, and it is also instructing mortgage-loan officers to focus more on purchases. Freddie Mac said last week that the average rate on a 30-year fixed-rate mortgage was 4.45%, up from 3.95% at the beginning of the year. 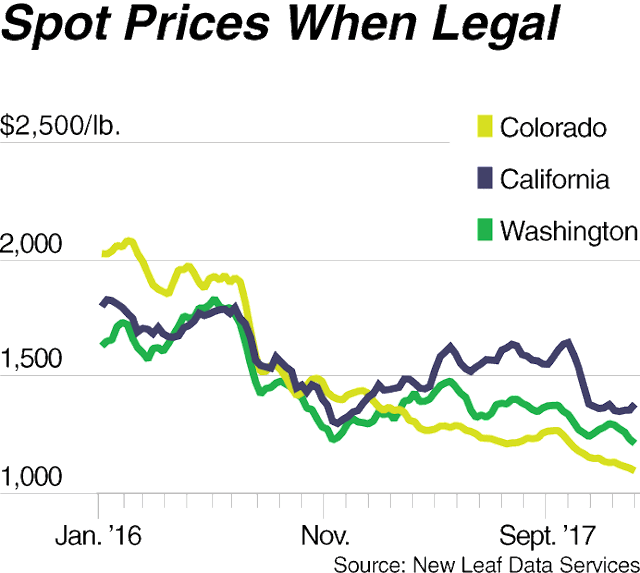 Increased mortgage rates can hamper refinancing activity because many homeowners have rates that are already lower than what lenders can now offer. In other cases, the higher rates cut into the savings a homeowner stands to reap by refinancing a mortgage. The Mortgage Bankers Association expects mortgage-purchase volume to grow about 5% in 2018 but refinancing volume to drop 27%. Refinance applications fell 5% in the week ended March 16 from the prior one, according to the group. To drum up business, lenders are emphasizing home-equity lines of credit, which let borrowers tap their homes for cash through a new loan that doesn’t affect the rate on their current mortgage. They are also pushing adjustable-rate mortgages, where initial rates are rising more slowly. First, this is an obvious negative for bank earnings, which makes bank stocks an even more compelling short sale idea. Most analysts view the big banks as better capitalized than before the last crash, so another “death of Wall Street” scenario might be too much to hope for. But there’s no escaping cyclicality — when the economy turns the banks follow. Here’s Citigroup’s stock in the Great Recession. If it falls even half as much in percentage terms it — and the other big banks — are still classic shorts. Second, mortgage companies steering homeowners towards home equity credit lines and adjustable-rate mortgages is just what a dysfunctional system does when confronted with a return to historical normalcy. Keep your customers borrowing however you have to do it and let them worry about making the payments! Third, higher rates are a sign that we’re finally starting to redress some of the past decade’s cultural bias in favor of borrowers and against savers. As interest rates rise, the relative handful of people who are putting part of each paycheck away – or who spent a lifetime doing that and now would like to retire with a bit of interest income – benefit, and the people who just borrow ever-larger amounts of money suffer. That’s as it should be, though this trend is likely to last only until the next round of QE and ZIRP when the Money Bubble finally bursts.